Transfer Sardinia makes possible the organization of tour of Sardinia by bike, allowing tourists to visit the oldest land of Europe: from the mountains to the sea, from paved roads to trekking in the countryside, the old mule with sea views the winding paths of the Gennargentu. Sardinia is a island characterized by the Sun and a wild nature is perfect for all those who want to discover it while riding a road bike or mountain bike, along with local cuisine will be the ingredients of your holiday in Sardinia. In Sardinia temperate climate all year round offers without a doubt among the best weather conditions in Europe to organize cycling in nature, road and mountain biking. Even in the winter months, January and February, the weather gives sunny days and mild. 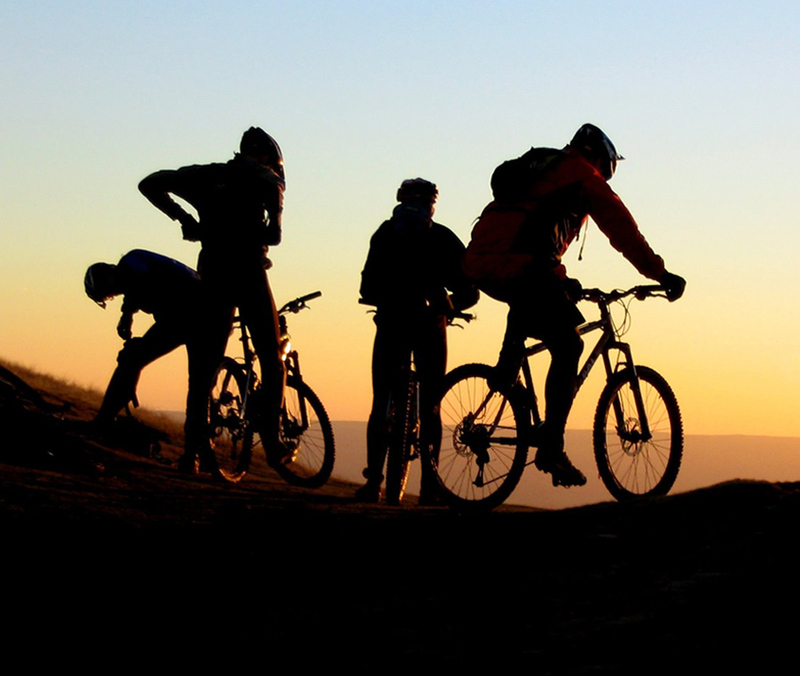 Transfer in sardinia offers services to all those who enjoy cycling. From private citiziens to sport associations or amateurs and expert tour operators. Thanks to a new 9 seater minibus with a vast trunk we can guarantee services to all these, supporting events like the national and international triathlon and lots more. We supply our clients with plenty of information about all possible roads and dirt tracks that can be found around the beautiful island of Sardinia. We also give our clients the possibilty to rent bikes and gear of the best qualities. Feel free to contact us to ask any futher informations. For these services we team up with the triathlon network point to guarantee a high level.